Favourite Things to Read Five Days (not necessarily consecutive. 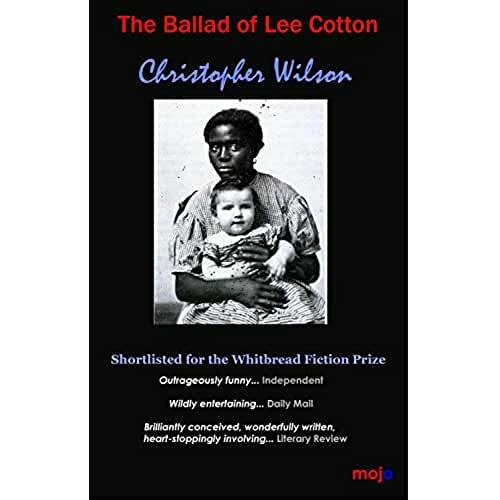 This book is the life story of Lee Cotton, who, at his own birth gave his mother a shock when she saw his appearance. Without giving too much away, he transforms via an accidental identity crisis- or two. The writing is so convincing, absorbing the reader into an unbelievable scenario, suddenly becoming believable. Lee Cotton, is the type of person who anyone can identify with. I thought this book is right up my street, very quirky. Now I have a little story to confess as to how I started reading Chris Wilson’s work. But this is not to say that what I have said above is any less truthful, I genuinely enjoyed these books. When I started writing, my dad shared with me a family memoir that his cousin had written. I discovered that author Christopher Wilson is my third cousin! Yes, the Booker and twice nominated Whitbread prize published author has the same Great Grandparents as me! Creative Genes! Now, of course we have never met, but with all my recent increased social media presence for bookish reasons, it was only a matter of time before Chris Wilson’s name popped up on Twitter in ‘who to follow’ (I had been following anyone who had the word ‘writing’ in their profile). We are now in touch via email, my Dad who met him years ago is over the moon. Now back to the reason I started this post. Chris Wilson’s books are some of the best reads I have ever read, and I have read a lot. Another quirky book that I really enjoyed reading earlier this summer is one I reviewed recently ‘Peddling Doomsday’ by Petra Jacob. This is a psychological thriller with major interest. The storyline is so different. It is about Deirdre, unhappy with her life she is drawn into a cult via the medium of social media and internet shouting. Everyone gets a new name, apart from Deirdre, and she was so looking forward to getting a new name (sad face emoji) everyone has to do a pointless job that involves something they fear. The writing is full of satire, allegory and that ‘I can’t put this down!’ feeling that you get when reading. I think when I reviewed this book, I said that I was ‘giving the author an imaginary high five’ , I still am, I still think about this book and would read it again. Sign of a good book. 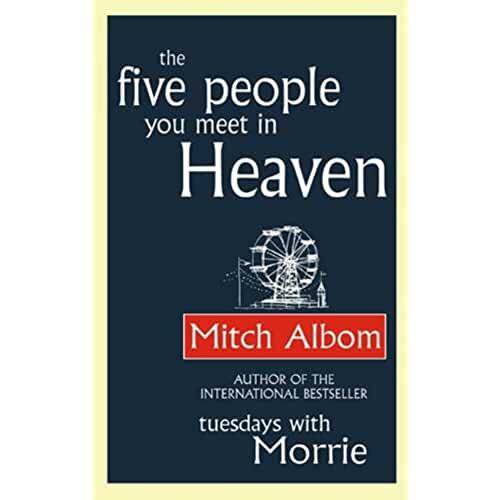 Without making this list of quirky books too long other books I enjoyed with the offbeat quality I am talking about I would say are ‘The Five People You Meet in Heaven’ by Mitch Albom. A very famous book, as you know I shy away from reviewing books that already have lots of reviews (who cares what I think?). Eddie is a fairground worker, when he dies there is a series of events that could have had something to do with other people’s lives and deaths, and so the story continues in heaven. In a sort of ‘everything happens for a reason’ type story. Finally, another book that I would consider a favourite and an offbeat slightly satirical read. I am at risk of upsetting other fans of this book here, because I think it is grouped into a cosy series read. 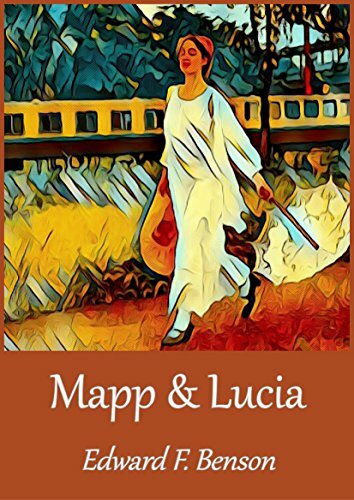 Mapp and Lucia by E F Benson. Well, the characters live in a fictional south coast location in the 1930s. The book is put together by a series of little storylines all involving neighbours watching each other and navigating etiquette, snobbery and one-upmanship. Quirky, I think, because of the characters who are able to convince their friends they can speak perfect Italian, oh and to coin a phrase, good-bye in Mapp and Lucia is stated as Au-reservoir! I would just love it if I could get that to catch on in Brandlesholme! Oh and what a coincidence! Eighteen months ago I published my short story collection ‘Quirky Tales to Make Your Day’. It’s quirky! This entry was posted in Book marketing, Creative Writing, Fiction, Reviews, What Samantha Read Next and tagged books, Just for fun, Reading, Short stories. Bookmark the permalink.